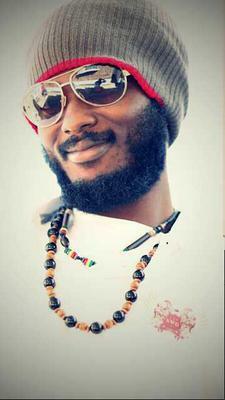 Ghanaian Reggae artiste IWAN has told NEWS-ONE that though he is not married, there is a special lady in his life who happens to be the mother of his one-year-old son. Abdul Razak Issahaku as he is known in real life, shot up to fame with his ‘Thanks & Praises’ song which won him the Reggae Song of the Year at the 2011 edition of the Vodafone Ghana Music Awards (VGMA). When NEWS-ONE reporter Nii Ogbamey Tetteh caught up with him at his studio, IWAN disclosed that he had been away from the music scenes because he was working on his new album titled ‘Jah’. What is the meaning of IWAN? Well IWAN simply means ‘I Win Always Naturally’. Well, I have been in the studio since Bullhaus and I came together to squash whatever beef we have and work together again. I have been putting down good lyrics, recording good songs because we really want to hit the industry big time this time. I believe everything has its time and this the time for studio sessions, to be alone and try to figure out what the people want and cook it for them. But I released my version of the ‘Tonga’ song two weeks ago. Did you have a beef with Bullhaus? I used the word ‘beef’ because of the way people were seeing it. It was just a misunderstanding which we weren’t patient enough to sit down and resolve. It was just a misunderstanding which happens every day between people. Why did you return to Bullhaus Entertainment? I will like to say nobody wants to be in a kind of grudge or conflict with somebody forever and that is the main reason why I had to squash the misunderstanding with Bullhaus because I felt it has been three years now and it has brought nothing but negative vibes. I started work with Bullhaus, I know their efficiency in the work that they do. When it comes to artiste management or whatever concerns music and artistes, Bullhaus is really the right place. I think these are the two major reasons; because I don’t want to hold a grudge against anybody forever and because I want to work with the best. Are you a Reggae or Dancehall artiste? I will say I’m a Reggae artiste. For me even though I do Dancehall once in a while, I will not place emphasis on Dancehall too much knowing that in future I’m going to be a fulltime reggae artiste. When you look at my songs and the messages that I put across, they can’t really fit in Dancehall. Do you think Dancehall has a future in Ghana? Dancehall really has a future in Ghana but I’m afraid that it is not going to last if it is going to be treated like hiplife. I say this because with hiplife mostly the content of the song don’t last because it is just made for that moment and that is the fear I have for Dancehall. Most of the Dancehall songs coming out right now are just songs for the moment , they don’t have any real message that can survive through the time and if a genre should survive through time it dwells on the message in the song in that genre. Are you beefing with anyone in the music industry? I started clean in the beginning. I remember the Movado show, I was billed to perform and at the end of the day I wasn’t able to perform. In the quest of finding out why, a sort of beef sprang up. For me I don’t see it as an issue which should have started a beef because I was used for publicity for that show and I didn’t perform at the end of the show. Who is the Artiste in question? It is Samini. It turned out to be something else and he recently did a song and mentioned my name in it. By that song, he made people aware that there was something really going on. Even though I was pissed because I was used and I didn’t get paid and all, I never made any major move to throw a punch at him. With this Dancehall thing, that is how it goes. Whatever problem you have with another person who is an artiste, you are free to put it in music just to let the people know, so I also replied him with a song. Will you be cool with Samini if you met him today? Before I will be cool with Samini, I should feel some sort of concern from the industry that I have been crying over this Samini issue for three years and it is about time they called us. But it is like a whole MUSIGA and even their President Bice Osei “Obour” Kuffour knows about this beef but has never made a comment about it anywhere. For me, Samini is still the person that has disrespected me and until he admits that he has done me wrong, I don’t have anything. But musically if he drops any song today and mentions my name, I will also reply him. He (Samini) is trying to claim champion of the game and so if he says something in a song, it is only good for a challenger to drop in. This is what makes Dancehall interesting. Have you resolved your issue with Shatta Wale? Well with him I will say in December last year, I had a carnival in Newtown to reunite us – Shatta Wale, myself and Bullhaus—because I wanted to start this year so clean without issues with anyone. I invited Shatta Wale and he came but we didn’t have any chat because it was more like a show and he just came to represent. His representation shows a kind of feeling for unity. For me if I say I will dwell on what I said about him in the past (i.e. he apologizing publicly to my mum for dissing her which he hasn’t done) we will still not be cool. For now all I can say is, I don’t really have anything against him. How is your baby doing? He is fine. My son was 1-year-old in January. Hahahahahaa…wives, wow. Well for now I’m just hooked up with this one special lady in my life and that is my son’s mum. I just want to keep things cool, not to rush in life and take my music seriously because music is a mission for me. Whatever comes into play is something else that is going to add up so no wives as at now but for a wife I think somewhere in future. I started music at a very young age. I recollect my younger days listening to a wide variety of songs. I loved to explore and sing copyright. I used to attend Fan World, Kiddafest and all that but because of my love for Reggae music I really wanted to live a spiritual life; I didn’t want to talk anyhow, write anyhow or do anything anyhow. I found myself gravitating to Reggae music listening to Bob Marley and Culture among others, and I got this feeling like I wanted to write like them. I started doing songs on social vices and I felt I was good in that and that is how it started. What is new with IWAN now? There is an album coming out which is called ‘Jah’ and it is going to be a strictly Reggae album. This album will feature artiste from four or five different African countries. I have 13 songs on that album ready but we plan to release it in September.